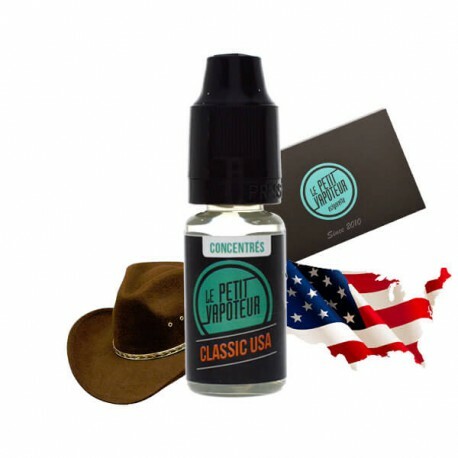 Concentrate Classic USA - Le Petit Vapoteur must be diluted in PG/VG Base. The Classic USA is an American tobacco flavour, the well-known red and white brand. A gold and dry tobacco, with a bit of sweetness intoduced by vanilla and caramel notes.